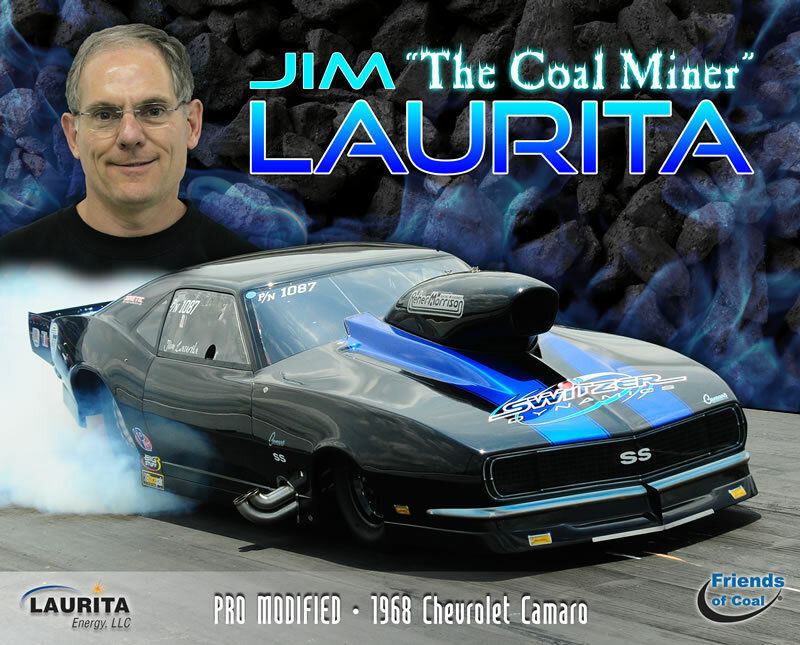 Jim “The Coal Miner” Laurita has selected P.TEN Marketing to handle the creation of his new 2014 hero card. Laurita, who will be racing in the NHRA Pro Mod season with his nitrous-powered ’68 Chevrolet Camaro, entrusted the P.TEN team to produce a unique hero card that captures his identity and plays off the “Coal Miner” theme – and they did not disappoint! With the first race scheduled in just a little over a month, Laurita will be able to set up his pit area and proudly display his new, professionally produced hero cards. Any fan that passes by is sure to stop in to take one home, perhaps with a fresh signature!